Lauren Strasnick is a graduate of the California Institute of the Arts MFA Writing Program. Her debut novel, NOTHING LIKE YOU (Simon Pulse/S&S, 2009), was an RWA RITA award finalist in two categories, Best First Book and YA Romance. 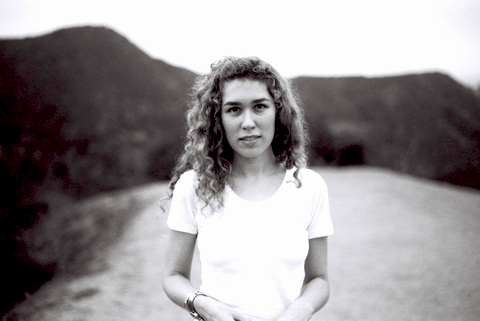 Her second novel, HER AND ME AND YOU (Simon Pulse/S&S, 2010), was a 2012 ALA Quick Pick for Reluctant Young Adult Readers. THEN YOU WERE GONE (Simon Pulse/S&S), Lauren’s third book, will be out in January 2013. I read a ton of YA growing up: Judy Blume, Beverly Cleary, Lois Duncan, Norma Klein. I was a huge V.C Andrews fan. As for what drives me to write YA...? Honestly, I don’t think it’s a choice. I can’t explain it exactly, but the teen voice just comes easily to me. I feel most at home in health food stores. What part of Dakota from Then You Were Gone did you enjoy writing the most? Dakota is all id. She’s all impulse and desire and she’s dead set on seeing her needs met. That’s fun to write. Oh, gosh, I’d introduce Dakota Webb to Adina Bishop from Her and Me and You. Those two are both bat-&$%# crazy. They could do some serious damage together. I wish I had the good sense to lie. I’m honest, always. I worked in a specialty food store one summer and got fired for forgetting to defrost a ham. Death. Because, well, you know. Which would you choose, true love with a guarantee of a heartbreak, or having never loved at all? True love! Always, over & over. The 70s. That was a good moment for music and movies. Early 1900s too. I’m into petticoats and secret passageways. It was a phone call that went unanswered that began Adrienne Knox’s quest to find a missing friend. Two years prior, Adrienne and Dakota stopped being friends. And just a week ago, Dakota had left a stifled voicemail to her but she never returned the call. Dakota is presumed dead when a suicide letter surfaces but her body is never found. Adrienne falls into a deep grief over the loss of an old friend. She feels that it is her fault because she didn’t answer back the voicemail Dakota left. Although they haven’t talked in years, she dearly misses her. As she falls deeper, she loses touch of the people close to her like her best friend Kate and dedicated boyfriend Lee. Convinced that Dakota is still alive, Adrienne feels the only way to get over her grief is to find and save her. Author Lauren Strasnick’s Then You Were Gone, is a riveting thriller that explores a person’s experience with grief and loss. Lauren manages to create a wonderful story that delivered a powerful message on how a teenage girl reacts to the loss of a friend. The loss has taken its toll on Adrienne and readers witness her character go into a downward spiral. The feelings she goes through are believable. Her change in behavior was so heart wrenching that it made you want to help her. Lauren truly knew how to capture her guilt and putting it all into wonderful writing. There are numerous mysteries throughout the book. From the beginning, the first question readers will ask themselves is why they stop being friends. This question kept me intrigued and it became one of the most engaging aspects of the story. The crisp and straight writing style is able to keep readers’ interests at premium levels. Although the chapters follow an unconventional pattern, it produced a fast-paced rhythm that it becomes difficult to put down. Then You Were Gone is a gripping contemporary tale of grief and the loss of a friend with a huge twist that is enjoyably unexpected. Thank you Lauren for making this giveaway possible. 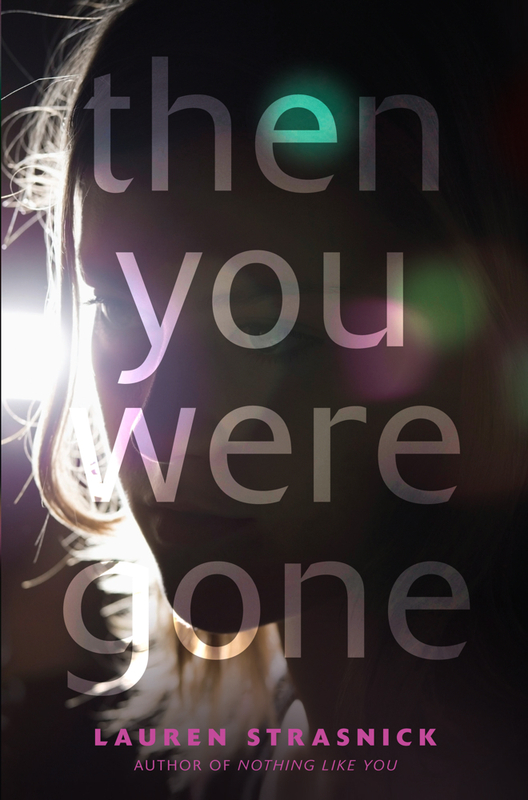 1 Winner will receive a Copy of Then You Were Gone by Lauren Strasnick. True love with heartbreak. Atleast, you'll feel both and love is the best feeling in the world! Never love at all. Haha! I don't think I can handle another heartbreak. True love with a heart break. Better to have loved and been loved than not at all. I would choose true love with heart break because it is better to have loved and lost than to never have loved at all. Thank you for the awesome giveaway!! I have had my heart broken and I would prefer to have never loved at all. If I would have to go though a broken heart, I'd rather never have loved at all. It would have no point and I'd only be left with pain. True love with heartbreak :/ hard decision. This saying is so true. The feeling of being in love is the best feeling ever. I wouldn't want to know life without feeling that love. Thank you for this amazing giveaway!!! Never to have loved at all. My heart wouldn't take another fracture. I would choose never to have loved at all. Can't miss or be hurt by what you've never had. true love with a guarantee of a heartbreak.. because, at least at the end I have something to learn. I'd choose true love with a guarantee of a heartbreak. Love is one of the most beautiful things that could happen to anyone. You can't love and be loved without getting hurt. It's a part of loving. heartbreak. I've been there and done that, and it's only when you have heartache you can learn to love someone else. Hmm, I guess I'll choose true love with a guarantee of a heartbreak.. I stubbornly believe that LOVE IS THE GREATEST WEAPON OF ALL!! <3 Thanks for the giveaway as well! I have no idea, but I'd probably stick to having never loved at all. I can stand the idea of a love that will inevitably fail. True love! I stil haven't find it, and it not reallu funny! Probably true love with a guarantee of a heartbreak. Though, never loving again is very close. True love with heartbreak... I've already experienced that when my husband died. I have good memories, though. True love with heartbreak. You get those wonderful, beautiful memories to look back on when it's over, rather than having nothing at all. Happiness for some time is better than none. Honestly, I would choose having never loved at all. true love with a guarantee of heartbreak. that's wht being human means, right? to be able to feel. True love with a heart break. I would prefer to have someone who i love, and who loves me for a short period of time than to have never experienced it before.